For Liv AWOL SPOK’D, there are no days off, and on 1st January new team member Victoria Lovett was out and about showing off her new kit and bike! 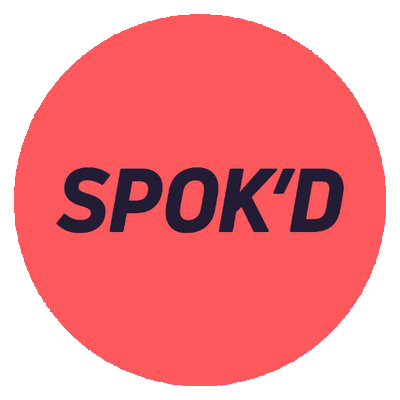 It was also the month to finally make the big announcement about our new sponsorship line up, which included headline sponsors SPOK’D! Elsewhere, the cyclo-cross season was coming to a climax, with both the National Championships at Gravesend Cyclopark, and the Regional Leagues having their final races. So who was crowned Queen of Cross in their respective regions. Victoria Lovett was out on New Year’s day to show off her lovely new Liv AWOL SPOK’D kit and bike, and posted the headline photo (above) and this one. It even attracted the attention of LivCyclingUK, who responded “Amazing Shot🚴‍♀️”. We agree! A couple of days later, and five of the team were out in Hertfordshire for a training ride (and to snap a group selfie!). Meanwhile, Clover Murray has escaped the cold, rain and snow, and is busy racing Bay Crits in Australia! Only two senior riders for Liv AWOL SPOK’D at the final Trophy Series race in Shrewsbury, and sadly for some, no rain and therefore no mud for which the course is renowned for. So fast course with rutted banks. Maddie Gammons, coming back to cross fitness, put in a good performance and finished in 23rd, while Connie Hayes came in to the finish in 32nd, but a good result for Connie considering her mishap. The Hillingdon Winter Series kicked off today with a second place podium spot for Eva Callinan. Two riders. Two winners in their respective categories. Imogen Chastell took the Junior win, coming third overall in the Women’s category, and Charlotte McGreevy took the U16 win. With riders away at Shrewsbury for Trophy Series, and Harley Pell still taking time off following her hospitalisation, Lauren was on her own for the team at this round of the Eastern League, but it didn’t stop her getting the second Junior title of the weekend for the team, and finishing 2nd overall in the Women’s category. 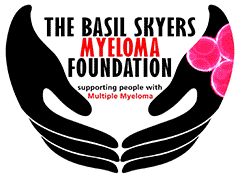 We look forward to a very successful partnership off the road, and plenty of success on! The team also announced that Kask would be helmet partners for 2019. Senior & Under 23 Women’s Championship race, Maddie Gammons was highest placed in 20th, Emily Ashwood in 26th and Connie Hayes in 31st out of 38 starters. Junior Women’s Championship race, 12th place for Imogen Chastell in 42:39.200, 13th for Lauren Higham in 43:17.550 and Harley Pell in 17th in time of 44:41.450 out of 25 starters. In the Youth Girls Under 16 Championship race, Charlotte-Louise McGreevy 22nd in 36:33.200, followed closely by Bethany Barnett in 36:38:400. Isabella Torrie raced at the Tuesday night track league. Only top 8 riders in each race are listed in results. Sorry. On a clear but chilly day down on the south east corner of Kent, from a field of 11 starters, Emily Ashwood took the win in the Senior & Veteran Women’s category. Imogen Chastell was on her own representing the team at this round of the Central League, but not disappointed, coming away with the win in the Junior category, finishing 4th overall in the Women’s race. Liv AWOL SPOK’D were out in force for the penultimate round of the Eastern League, with three riders in the Women’s category and 2 in the U16, and plenty podium slots to share. Lauren Higham and Harley Pell one again rode hard to get the two top Junior places (getting 2nd and 6th overall), with Connie Hayes in 7th. In the U16 race, Bethany Barnett and Charlotte McGreevy fought hard for the top step, but had to accept 2nd and 3rd place. A field of 32 women took to the start line for round 11 of the FND cyclocross series, and amongst them Liv AWOL SPOK’D rider Rosie Wallace. Rosie’s not a full time cyclocross rider, but she certainly proved to have some skills and stamina finishing in 9th place overall. While the cross season comes to a close, the winter circuit series are still going. 17 riders took to the start line for the all categories (E1234) race around the Hog Hill track. Only the one Liv AWOL SPOK’D rider, Connie Hayes, raced, but she made this one count with the win. The renowned Youth Icebreaker series started again at the newly named Geraint Thomas National Velodrome of Wales. Eva Callinan was hoping for a good result, but a crash and a broken bike unfortunately pushed all those plans to one side for this round at least! The final round in the Central League, and a tough course criss crossing the Hillingdon road circuit and off road areas. Imogen Chastell kept up her winning streak of Junior wins, finishing 3rd overall and being followed across the finish line by team mate Connie Hayes in 4th. And so to the final round of the Eastern League. With tough competition coming from Elspeth Grace (Welwyn Wheelers), Lauren showed her composure and skill to take the overall Women’s win (along with the Junior top spot). Harley Pell took 6th overall, and runner up in the Junior category. And finally, for the U16 race, are Liv AWOL SPOK’Ds Bethany Barnett fought hard throughout the race to finish second, but it’s enough. Therefore, in the final Eastern League standings, Lauren Higham retained her crown from last year for both the Junior category and the overall Women’s category. In 4th place overall, and runner up in the Junior category was Harley Pell, with Connie Hayes 12th (only rode in 6 races), and Imogen Chastell 22nd. Although Imogen only rode one race in the Eastern League and she did win that one! And for Bethany Barnett it came down to the last race, and having to score well, beating her next nearest rival by 17 points. Tuesday night and track league at the Derby Arena. Louise Scupham was racing in Group 3, with 4 events including 20-lap scratch, 32-lap points, elimination and finally a 30-lap scratch. Only the top 8 riders are reported in the results, so not sure how Louise fared in 3 of the events, but she did get 7th in the elimination.